If you’re anything like me, you would love to sketch out a drawing of an animal that actually looks like a drawing of an animal. Some folks have a natural knack for art. I, sadly, am not one of them. I can draw two things: a dog lying down and a dog sitting up. See what they look like at the end of the article. 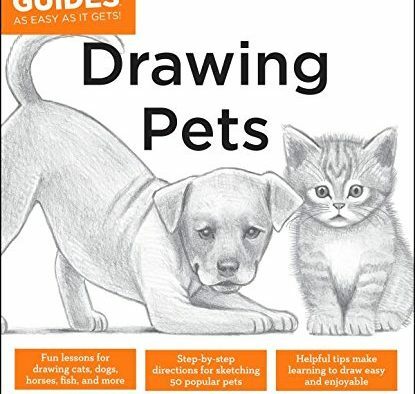 This book is a step-by-step guide to drawing pets. It includes easy to follow lessons that break out how to draw fifty types of pets. From the basics comes the fine tuning. The book goes through ways do this and includes things like how to make realistic eyes, shading techniques (including some very helpful info on how to hold your pencils), and even how to capture personality as you move through the lessons. They are housed into five categories and each category includes details on creating more elaborate art. 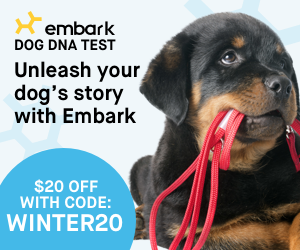 You can even learn how to watch your pets anatomical movements and translate them to paper. The publisher (Alpha, a division of Penguin Random House) gave us permission to include the “How to draw a goldfish” section of the book. This will give you an idea of how complex these drawings are (but how easy the author makes following each step). If you want to learn how to capture your pets likeness on paper or canvass, The Idiot’s Guide to Drawing Pets is one that you should check out. Here is an excerpt from the book on how to draw a goldfish. We think readers of any age will enjoy this book, which you can order from Amazon!